 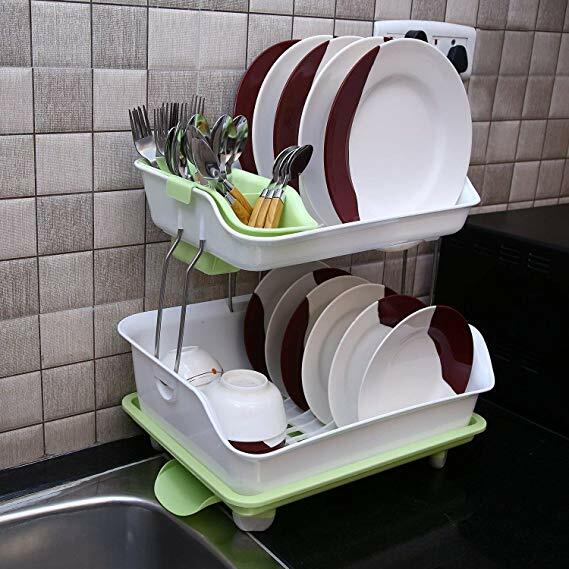 Sturdy material – The entire set is made of strong, durable quality of plastic that makes the product long lasting. 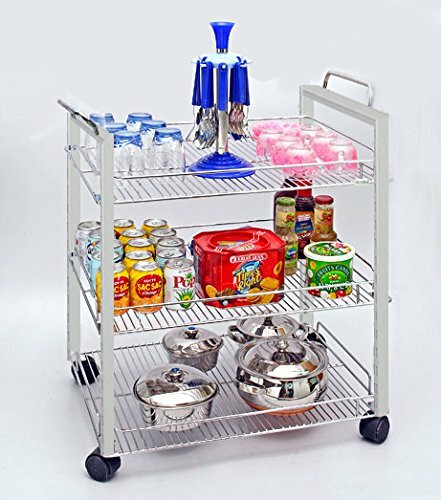 The ergonomic design also makes it easy to clean ans store. 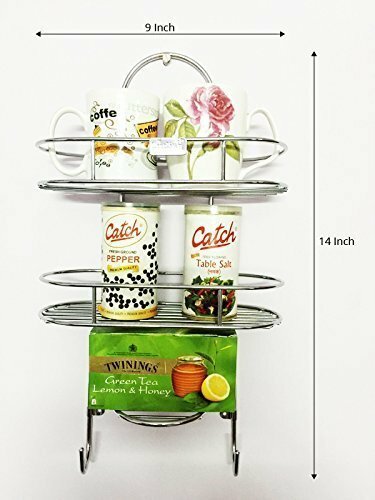 Crockery holder – A special crockery holder comes along with the dish rack, which can hold cooking spatulas, spoons, forks, knives, glasses and other crockery items. 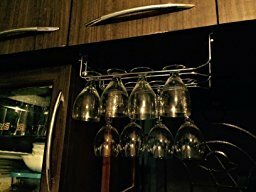 They are also perforated at the bottom to get rid of excess water from the utensils. 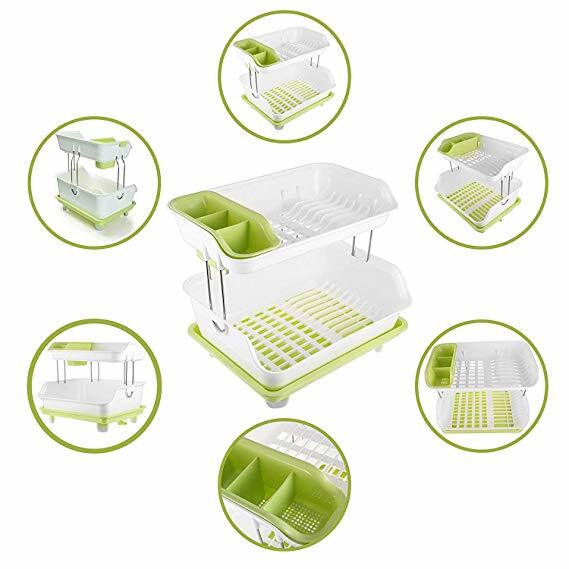 Corrugated design – Both the trays carry a corrugated design for enabling storage of dishes and plates with a snug fit. 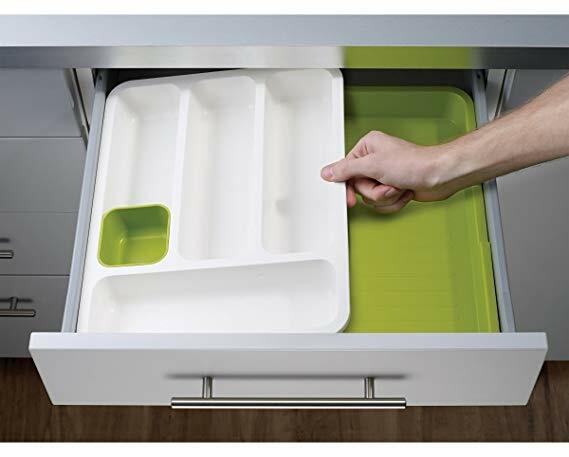 You can easily store small, medium and large plates through the ridges. 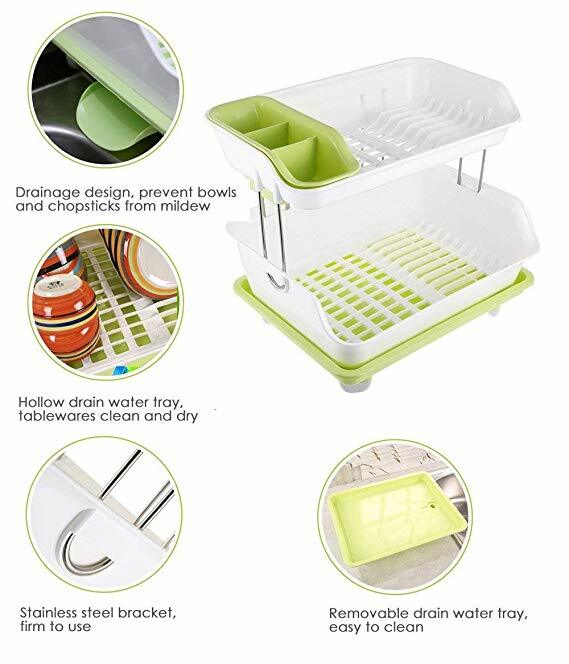 Draining Tray – A draining tray is thoughtfully placed below the bottom rack to easily drain off the excess water from the utensils. 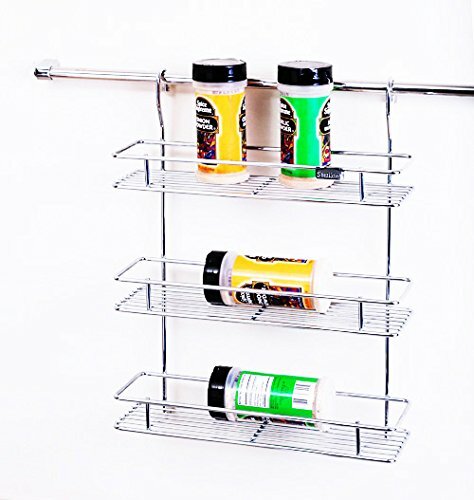 The water drops on the bottom rack through the small rectangular pores on the flat trays. 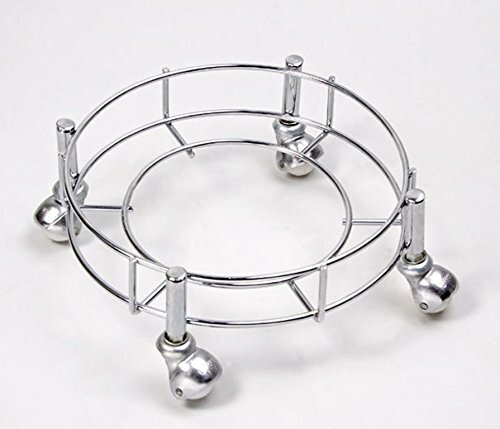 Organize your kitchen utensils with this 2-tier dish bowl drainer rack. 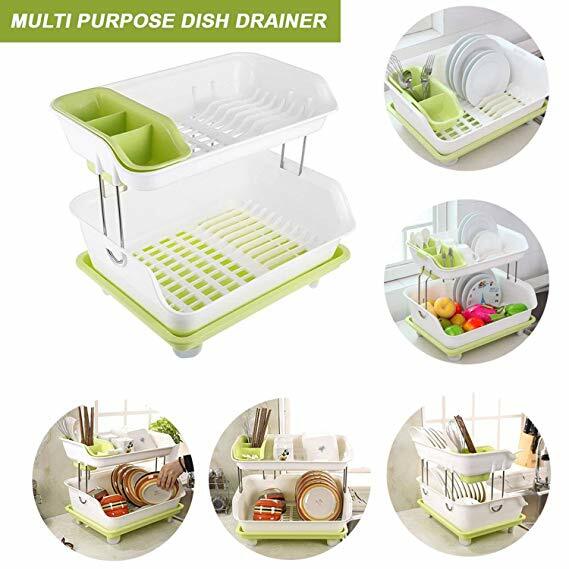 It provides a convenient space for keeping cups, saucers, dishes, plates, bowls, cutlery, flatware and other items. 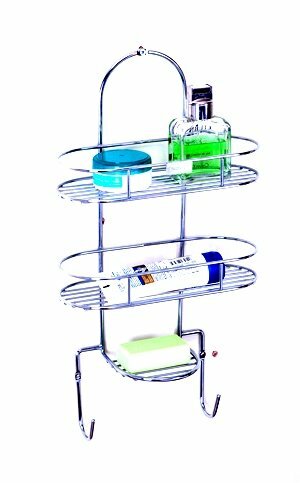 This kitchen rack is easy to set up within minutes and comes with fully detachable parts that are easy to store when not in use. 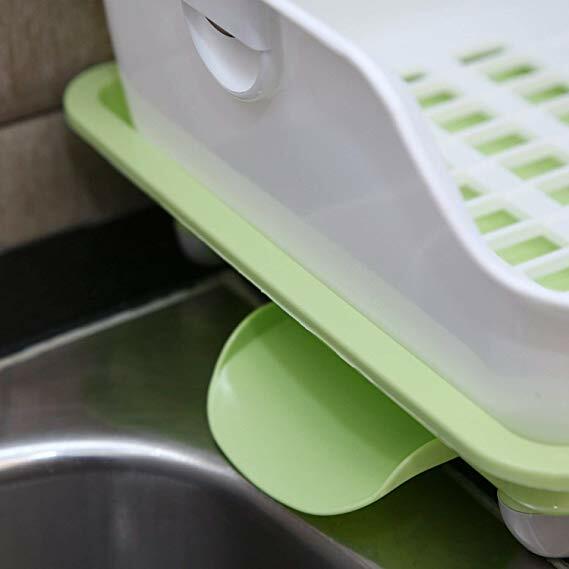 It drains water and keeps kitchen utensils dry and clean. 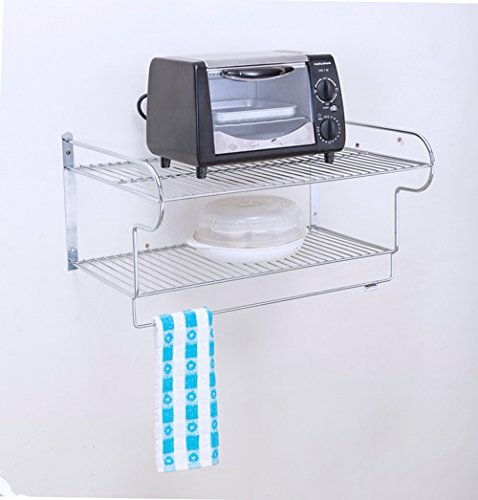 This sink drying rack is convenient to set up on kitchen platforms and countertops. 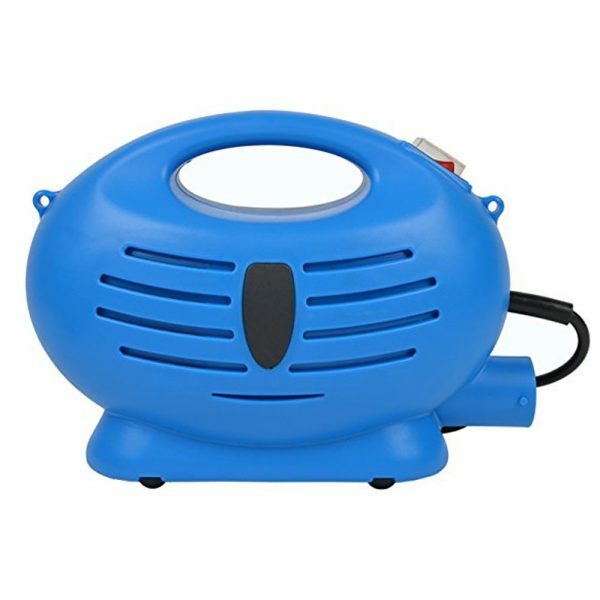 It is made of durable plastic, which is easy to clean. 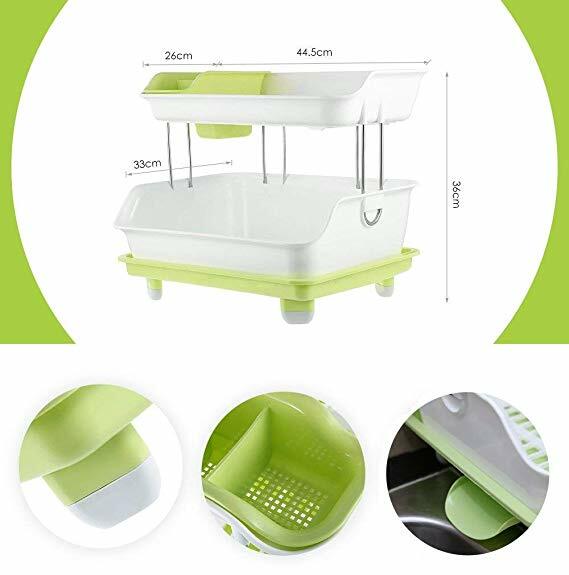 Has creative and convenient design that the drainage board for 360 degree rotation installed in the bottom, easy to drainage and placement. 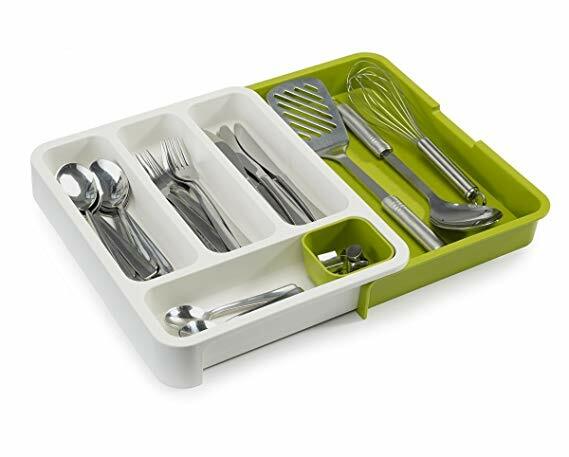 Various storage grids accommodates all sorts of tableware, includes flexible chopsticks basket. 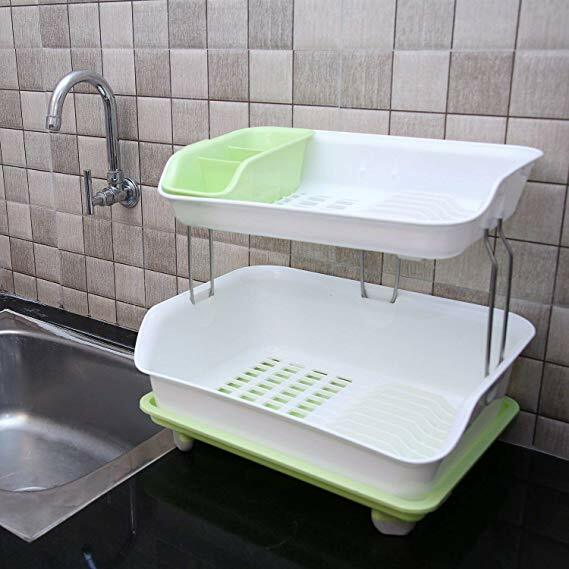 All grids have the function of drainage and keeps tableware clean, dry, health. 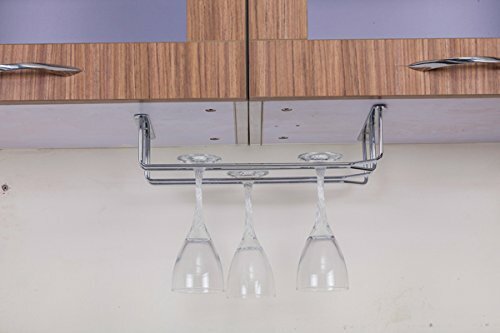 Heightened supporting foot which is good for ventilating, keeping clean and skid resistance.